GA Collaborative is a group of designers, artists, educators, and researchers dedicated to helping those with little or no access to design. We work with great people, partners, artisans, and collaborators on projects that have an intelligent and sustained impact. At the core of what we do is a belief in the importance of research, craft, and innovation in the design process and the value of sharing of that knowledge and experience with others. Yutaka Sho’s is a Principal and Co-Founder of GA Collaborative. Her research focuses on the roles of architecture and planning in development, humanitarian and post-calamity contexts. She has researched and practiced in various countries including Lebanon, Bangladesh, Turkey, Uganda, Japan, and the U.S.
Yutaka has taught architectural design studios and theory at Kigali Institute of Science and Technology in Rwanda. Yutaka is the recipient of the 2013 Arnold W. Brunner Grant of the New York Center for Architecture, the AIA New York Chapter and the Center for Architecture Foundation, and 2007 Deborah Norden Fund from the Architectural League of NY. Yutaka is an Associate Professor of Architecture at Syracuse University. James Setzler is a GA Collaborative Principal and Co-Founder, and a Registered Architect. He has a broad background in both contemporary and traditional building technologies. His interests have led him to work in both architecture and contracting offices, and his work as an estimator and construction manager lends him a holistic view of the design field. He has managed the design and construction of award-winning projects that include museums, high-end residences, and master plans. He has experience with historic rehabilitation of existing buildings, overseeing sensitive integrations with contemporary additions. Michael is a GA Collaborative Principal and Co-Founder. His research and writing focus on the history, discourse, and speculative future of technology in Architecture and Landscape Architecture, and its implications for design culture, environmental responsibility, and socially conscious design practices. Michael Leighton Beaman is an Assistant Professor in Architecture at the University of Virginia and a Design and Technology Critic at the Rhode Island School of Design. In addition to teaching, Michael is a writer for Architectural Record, an associate editor for II Journal focusing on design technologies and techno-centric design practices. Michael is also the Founding Principal of Beta-field, a multi-modal, research and design practice focused on material and procedural design processes, and their implications on technology, sustainability, design culture, and the built environment. Michael has been named a MacDowell Fellow, an American Institute of Architects Emerging Practitioner, and a University of Virginia Teaching Fellow in Architecture. Michael was an Assistant Professor of Architecture at the University of Texas in Austin, and has taught at Harvard University, North Carolina State University, Northeastern University, and the Kigali Institute of Science and Technology. Zaneta is a partner and design principal for GA Collaborative. She is also an Assistant Professor in Landscape Architecture at the University of Virginia, where she teaches courses in information-based digital practices and materials systems and technology, and a Principal of Beta-field a research and design practice focused on material and procedural design processes, and its implications on technology, design culture, and the built environment. She has taught at Harvard University, and was the 2013-14 recipient of the Daniel Urban Kiley Teaching Fellowship. At Harvard, Zaneta was recognized for four Teaching Excellence Awards and was the editor for Platform 8: An Index of Design & Research. Published and exhibited in 2015-16, Platform 8 was awarded AIGA Top 50 Books for 2015. She is currently Editing the 4th edition of publication Catalyst. Zaneta has focused on materials research at the Harvard GSD Materials Collection as a materials researcher, and the University of Texas in Austin Materials Lab as the Materials Lab Curator, where during her time, she initiated, designed and developed the online materials database and the Advanced Materials Research Lab and Gallery. Her research has appeared in numerous publications including Living Systems: Innovative Materials & Technologies for Landscape Architecture, Material Design: Information Architecture by Materiality, Innovations in Landscape Architecture, Journal of Landscape Architecture, and Landscape Architecture Magazine. Patrice is a designer and project manager at GA Collaborative. He has a degree in Architecture from the University of Rwanda. Patrice’s interests are in construction techniques, materials and architectural detailing. Patrice began working with GAC as an intern in 2013 and currently is managing multiple projects. 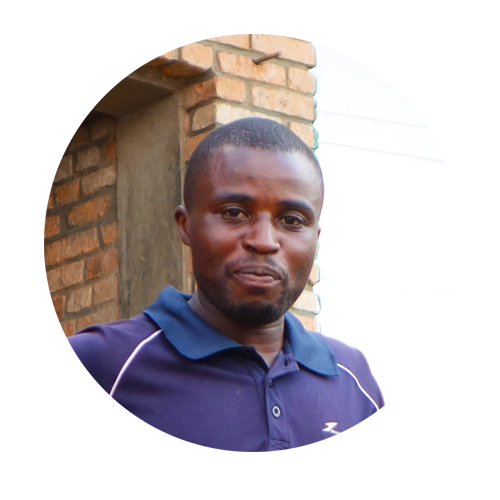 Patrice grew up in the Rulindo District of the Northern Province of Rwanda, not far from where many of his projects are being built today. Cyththia Twagirayezu is an architectural designer with GAC. Cynthia received a bachelor’s degree in architecture from the University of Rwanda in 2017. Her interest is in innovative construction materials and sustainability. Cynthia’s paper on GAC’s self-build home in Masosro was a finalist in the 2016 "Sustainable Future Conference: Architecture and Construction in the Global South" at the UN Headquarters in Nairobi, Kenya. We work with great partners. Through funding, collaborations, and support, they have helped make our projects possible. If you are interested in working with us on a project, let us know. One of our staff members will get back to you.